Our first activity night of the new year was a great success! Thanks to Kristy Lewis and Tammy Luckey for teaching us how to make two crafts. 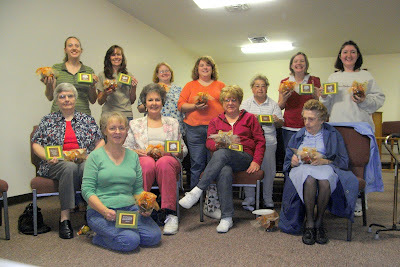 Here's a picture of the ladies who were able to attend. You might be able to click for a closer look at the cards and potpourri jars we made. Ladies, I want you to know that I am so encouraged by your support and friendship for one another. Let's continue to extend the hand of fellowship to other ladies in our church and in our community!